All About Bricks: Are LEGO taking on too many licenses? A blog dedicated to news and commentary about the world of LEGO. Are LEGO taking on too many licenses? Next year will see LEGO continuing to expand the number of licensed properties immortalized in plastic bricks. 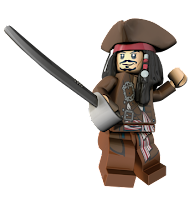 Lines such as Pirates of the Caribbean and Super Heroes have grabbed properties back from inferior competitors. But how many LEGO themes should be based on films, comics and TV? Where is the balance between just enough, and one too many? There is clearly a huge debate still to be had about whether or not LEGO was right to go down the licensed product line back in 1999 when LEGO Star Wars launched. But it’s undeniable that Star Wars is now a ridiculously successful line for the company, as each year it remains one of the two LEGO top sellers alongside City. It has had sets released every year for twelve years now, which is an extreme rarity in the modern LEGO range. In the UK, LEGO Star Wars now even outperforms traditional Star Wars action figures. But Star Wars is the exception for LEGO, and other licensed themes have met with various success. Back in the dark days when LEGO was on the brink of bankruptcy, properties such as Bob the Builder, Winnie the Pooh, Harry Potter, Spider-Man, Mickey Mouse and Star Wars were no more popular than the rest of the LEGO line-up available (well, perhaps more popular than Clikits). Yet now, LEGO are returning to the exact same themes looking to build on their success. But is returning to licences that stopped selling before a wise decision? LEGO have developed a new attitude to licenses. Now, a self imposed decision means that licensed properties will never take up more than a certain percentage of their business (although obviously whatever that percentage is must be guarded by a huge LEGO fort). This seems to be based on a desire from the company to have a strong, reliable brand that cannot return to those volatile times of the early 2000s. By having a reliable, popular range of in-house developed themes the company doesn’t have to rely on a particular movie release boosting the year’s margins. What is surprising is that with this new philosophy, LEGO have acquired the licences to Ben 10, all things Disney, Marvel and DC’s characters plus Harry Potter all in the space of a couple of years. This is at a time when Star Wars is going from strength to strength for LEGO. Arguably all of these themes fit in well with the LEGO brand and can make great products, but it seems like a lot to be taking on at once and competing for shelf space. Perhaps this is why LEGO seem to have a much more cut throat approach to licenses now than in years past. Rather than try and drag themes out for multiple years, the company has learnt from Batman and Indiana Jones and gone in hard and fast with movie related themes. Prince of Persia, Pirates of the Caribbean, Toy Story and Harry Potter have all been given just one of year new sets. In theory the sets will still be available the following year, but LEGO have aired on the side of caution rather than add new products with no movie back up. This approach paid dividends with Toy Story, a film that did massive numbers at the box office but didn’t mix correctly with LEGO. It seems that children wanted the same Woody and Buzz toys they saw in the films, not a toy of a toy mini-figure version. Prince of Persia was an equally unsuccessful line, although that was much more to do with bad box office numbers, no word of mouth and a poor critical reception. Clearly Disney is a licence that must be handled carefully. In past times, LEGO would have had another wave of sets ready to release the next year to try and replicate the constant appeal of Star Wars. LEGO Super Heroes is a line that feels much more of the moment. 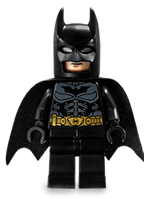 LEGO Batman never set the world alight, but enough time has passed that there is now a real clamour for more product as collectors realise how awesome the original line was and urgently try to afford the secondary market prices. Spider-man is in a similarly good position. A mistake made here before that LEGO should avoid again is having toys and a video game available at different times, and I would suspect that much of the popularity of Harry Potter’s return to LEGO is linked to the tie-in video game. What "indications" are you talking about in the last sentence? 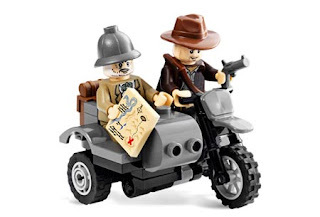 Has anyone seen such sets in retailers' catalogs, seen parts escape from TLG's production facilities, or been given inside info from LEGO designers and employees? There has been speculation that a Tolkien-based theme would be possible next year because "The Hobbit" will bring attention to the franchise. However, I've seen nothing but wishful thinking about this potential license so far. If anything more concrete has been mentioned anywhere, it's escaped my notice. Indications? I could read tea leaves or tarot cards and call it an indication! Please specify. 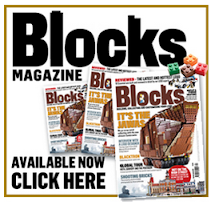 When copying information from All About Bricks, please provide a link to the original article. Where next for the LEGO VIP Program? Click here to browse past articles by topic. This blog is not endorsed by LEGO or affiliated with LEGO. No copyright infringement is intended, it is purely for information and entertainment purposes. LEGO, the LEGO logo, the Brick and Knob configurations are trademarks of the LEGO Group. Other licences discussed here such as Star Wars, Batman, Toy Story et cetera are trademarks of their respective parent companies. This blog uses affiliate links to websites including, but not limited to, Amazon and Argos. This links are used to generate income that contributes to the content produced for All About Bricks. Your support is appreciated. All content produced here is © All About Bricks 2011-. When being reproduced or referenced please provide a link to the original article.